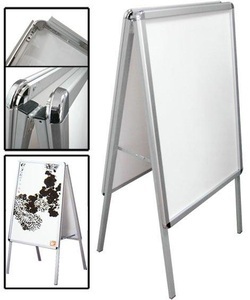 Double-sided Aluminum Frame. - Snap Frame for easy graphic replacement. - Includes Clear Protective Graphic Covers. 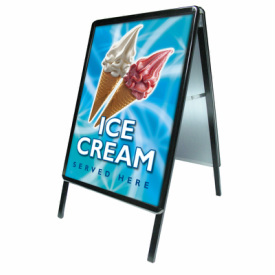 includes (2) coroplast sign inserts.